Perfect!I ordered the classic size magnets and they are perfect! 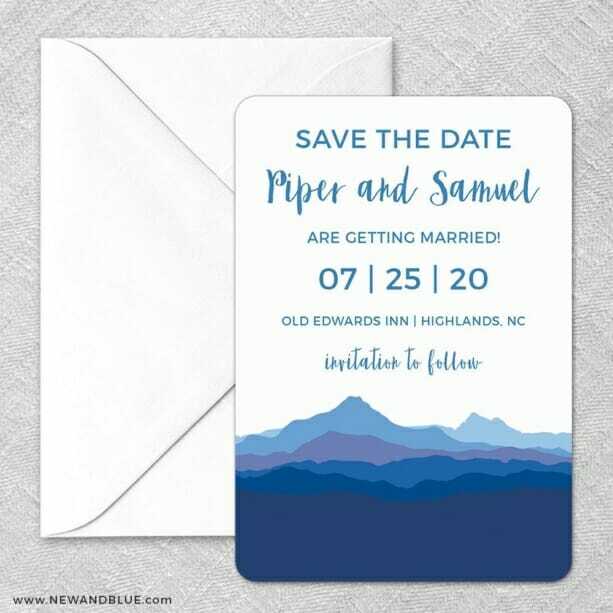 We are having a somewhat destination wedding in the blue ridge mountains and this was the perfect Save the Date. It's not too big, not too small. I'm going to be putting a small insert with hotel and airport information as well as a small engagement photo in the envelopes. It's so convenient that they printed all of the addresses on the envelopes. Definitely saved me a lot of time and a sore hand!